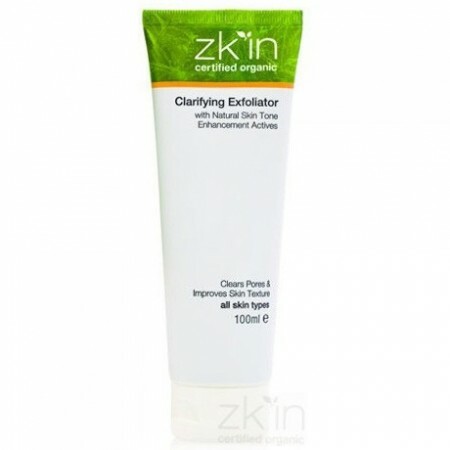 Invigorate, soften and clarify your skin with this certified organic exfoliator. Natural skin refining actives, Arabica coffee and colloidal oatmeal help clear pores and improve skin texture for all skin types. 100ml. Zk'in's waste management practices have achieved 95% diversion from landfill, with all organic waste collected for energy creation. COSMOS Certified Organic by Australian Certified Organic (ACC). 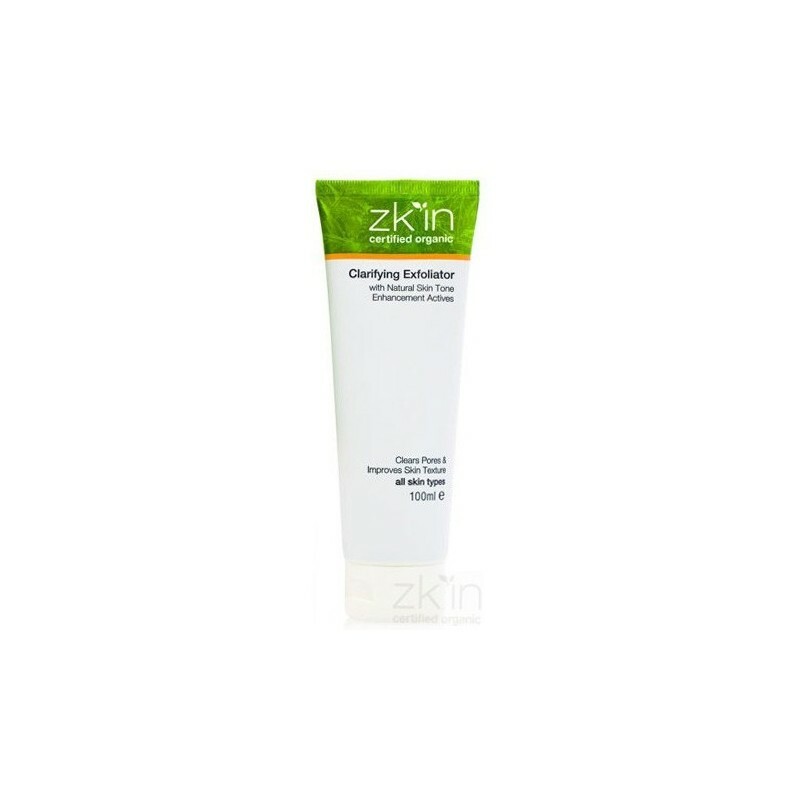 Removes loose cells, dried oil plugs, wastes and excess oil to reveal a refreshed complexion with a refined pore size and structure to help prevent future clogging. Organic Arabica Coffee Beans clear and polish skin while the Caffeine content alleviates puffiness and redness improving capillary tone for taut, healthy and unblemished skin. The excellent cleansing properties of organic Colloidal Oatmeal, combined with its natural anti-irritant quality, deliver a silky smooth skin feel. The fresh scent of organic Mandarin effortlessly combines with the mild Arabica Coffee to provide a great kick start to the morning. Great for dry or oily/combination skin. Dermatologically tested and approved non irritant. Free from petrochemicals, parabens and sulphates, GMO ingredients and nano particles. Aloe barbadensis (Aloe vera) leaf juice*, Coffea arabica (Coffee) seed powder*, Sclerotium gum (natural gelling agent), Citrus aurantium amara (Bitter orange) fruit extract, Avena sativa (Oat) kernel flour*, Citrus reticulata (Red mandarin) peel oil*, d-Limonene#, Citric acid. (*certified organic, #natural component of essential oil) 97.90% organic of total. 100ml. 16cm x 4cm. Recyclable PP/PE plastic tube.